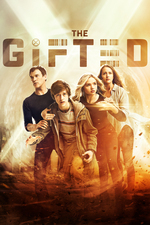 *IGN - The Gifted delivers another solid episode that, while not without its flaws, continues to explore the themes of the X-Men in compelling fashion. *Den of Geek - Make no mistake, The Gifted is a show about The Morlocks. This episode gave me to vibes of early Heroes, where we're getting more invested with these characters and their abilities, while the plot is taking its time. But that's fine. The cast is really carrying the show but that's what I'm here for. Also, for me, Elena Satine is slightly out of place because I'm so used to her from Revenge, but she can always pull off the whole "yes, I did something you didn't like, but don't waste your time blaming me" look. I'm still down for this show - it's a pleasant ride. I kind of wish it had been released in one go though because I forget about it during the week. Oh right, now I remember - Elena Satine is double-dipping in the MC(TV)U. She was Lorelei in Agents of Shield a few years ago. God, what a lousy episode. Even Sif couldn't save it. Oooh, Elena Satine is hot and yes, good at that look.